Our own Dr. James Hart, in addition to the American Association of Orthodontists, recommends that a child should have full orthodontic examination around the age of 7. Why? Because at this point in a child’s development, an orthodontist will be able to see any alignment problems that are present and/or might develop in the future. With early intervention, he’ll often be able to correct issues much faster and shorten their overall treatment time. Applying orthodontics at a young age is often much simpler than waiting till later because a child’s jaw and teeth have not fully set yet. When you bring your child in to see Dr. Hart, he’ll do everything he can to ensure their comfort and wellbeing. After an exam, he’ll discuss his findings with you and make any recommendations for treatment. Dr. Hart believes in open and honest communication, so you’ll be encouraged to ask as many questions as you like. In the end, he simply wants exactly what you do: a beautiful, healthy smile on your child’s face. In many cases, pediatric orthodontic treatment is broken up into two distinct parts called Phase 1 and Phase 2. During Phase 1, a small appliance may be used to break any habits a child has that could interfere with their dental development such as finger or thumb sucking or an appliance might be used that widens the upper jaw to create more room and to ensure that the adult teeth have a clearer path to erupt. Once this is complete, Dr. Hart may then need to implement Phase 2 orthodontics, which may include braces involving both upper and lower teeth, to align the adult teeth. Dr. Hart will specially design each phase to suit your child’s particular needs. In any case, he’ll make sure you and your child stay fully informed during the entire process so you know exactly what to expect next. 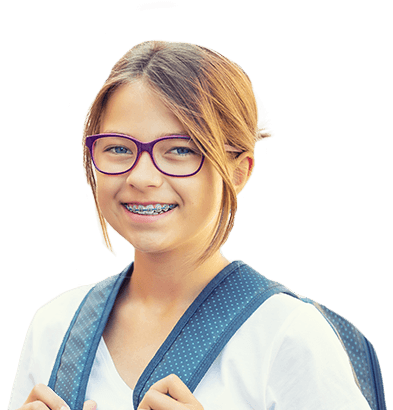 Is it time for your child’s first orthodontic evaluation? Do some of their teeth appear to be crooked, crowded, or gapped? Do they have an overbite, underbite, or crossbite? If so, Dr. Hart would love to help, so contact us today for an appointment.